Beer is a few steps closer to Pitman Hall. 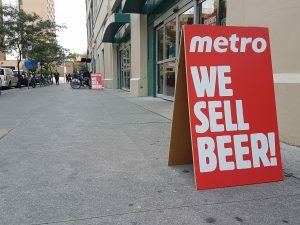 Metro now sells alcohol from 9 a.m. to 11 p.m. Monday through Saturday and 11 a.m. to 6 p.m. on Sundays. Metro began selling beer on Sept. 4. “I think people will just get fucked up because it’s right beside us and Metro is open pretty late,” said bio-medical engineering student Binh Nguyen. Pabst Blue Ribbon, Muskoka Brewery and Somersby cider are among the cans and bottles that hit Metro’s shelves Labour Day Monday. Though there are LCBO, Beer Store and Wine Rack locations close to campus, Metro is the closest retailer of alcohol to Ryerson residences. Metro cashiers working in designated beer lanes and employees handling alcohol have to complete a server training course approved by the Alcohol and Gaming Commission of Ontario (AGCO). They must also be at least 18. The 10 per cent student discounts don’t apply to the alcohol. Select grocery stores in Ontario have been selling alcohol since Dec. 15, 2015 under the Liquor Control Act. Loblaws, Sobeys, Walmart, a few independent grocers and other Metro locations have been selling beer since the new law came into effect. 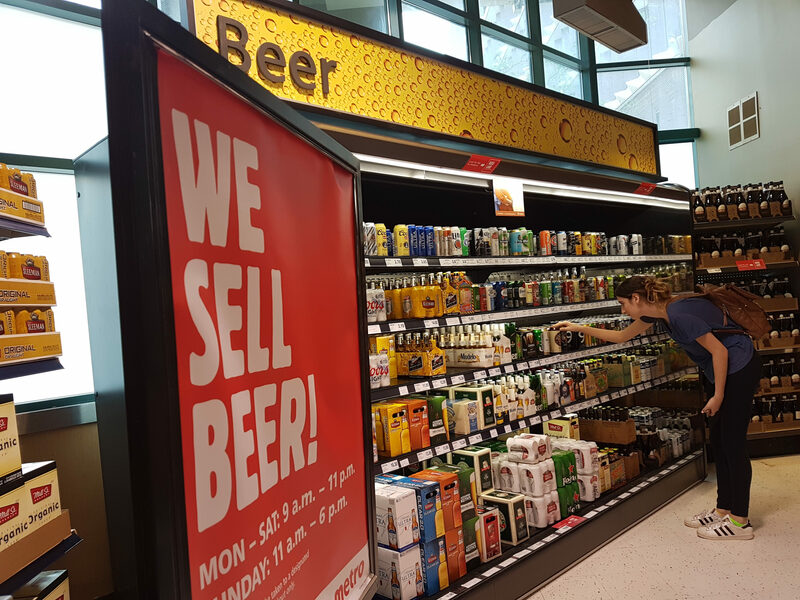 Now over 200 grocery stores across the province sell beer and cider. That number will eventually be more than double, according to the government of Ontario. Metro was unavailable for comment at the time of publication. R U satisfied with the food at Ryerson?